It seems to be a good book. It was a really good book, one of my best reads so far this year. I’ve read most of Binchy’s books but I don’t think I read this. I’ll add it to my list. Glad you loved it! I’d love to know what you think about it if you do end up reading it. Binchy’s books are always a treat! My mom and I both enjoy Binchy’s books! I can’t wait to read more by her. I’ve read every one of her books and liked them. Not sure which is my favorite but some are better than others. I wish I’d read her a long time ago. I have a lot of catching up to do. I love this author, she’s my comfort read. Thanks for your thoughts. I agree, it was a feel good book even with the sadness. You’re welcome! 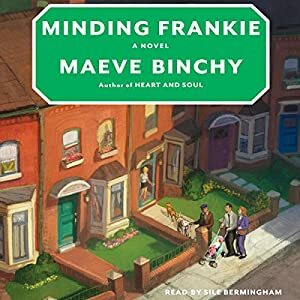 I just read my first Maeve Binchy last year and absolutely loved it. I’ve been anxious to read more and this sounds wonderful. I’m glad that even Moira is slightly redeemed and that the book is more uplifting than tragic. I wish I’d have read one of her books years ago. I want to read her again soon. I thought i was one of the best books I’ve read so far this year.